Your classical enlightenment – your realization that you are one with the all is not that which makes you absorbed oneness which is undifferentiated; even as you become and realize the truth that you are a True Self, what Theravada Buddhists called no-self, beyond ego, beyond separate self, even as you realize the profound emptiness of your being, and I mean emptiness here not in a Western sense but in a spiritual sense, meaning that you are empty of anything which is not full. So you are profoundly full of your essence, and your essence is that you are one with all that is, and the illusion that you are separate, a skin-encapsulated ego is actually incorrect. You realize your essential identity is one that all that is, but your uniqueness does not disappear; quite the contrary, you realize that you are a unique expression of all that is; your Unique Self sees through a unique set of eyes. Not only is your manifest self unique, but your unmanifest self is also unique. Your are unique at every level of your being and becoming: body, soul, and spirit. There is no expression of you which is not a particularized expression of essence — an individualized crying out of the mind of God. Wow. That’s an incredible understanding that changes everything. This is not a dogmatic understanding, but one that emerges from realization, a deep deployment of the Eye of the Spirit, which is the faculty of perception which takes us into the interior spaces of reality. A deep perception of the Eye of Spirit awakens you to your Unique Self, awakens you to a realization of your infinite specialness, your infinite uniqueness. 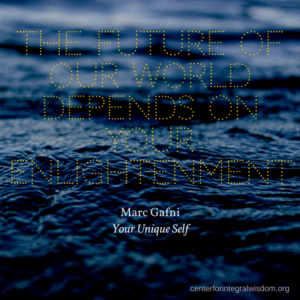 Your Unique Self Enlightenment is to be able to live that uniqueness fully in the world. Any attempt to be an imitation, any attempt to escape your originality, is the seduction of the ego, the isolated, separated, alienated self struggling to imitate in order to somehow get by. But the actual source of your creativity is your originality. 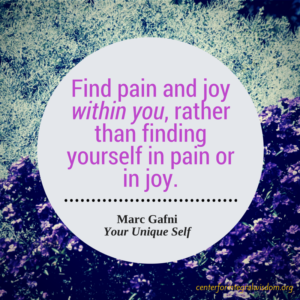 The source of your joy is the delight which emerges from living your unique story. So the invitation of a full-bodied, full-hearted, full-souled, full-spirited enlightenment is to incarnate, to inhabit your Unique Self. 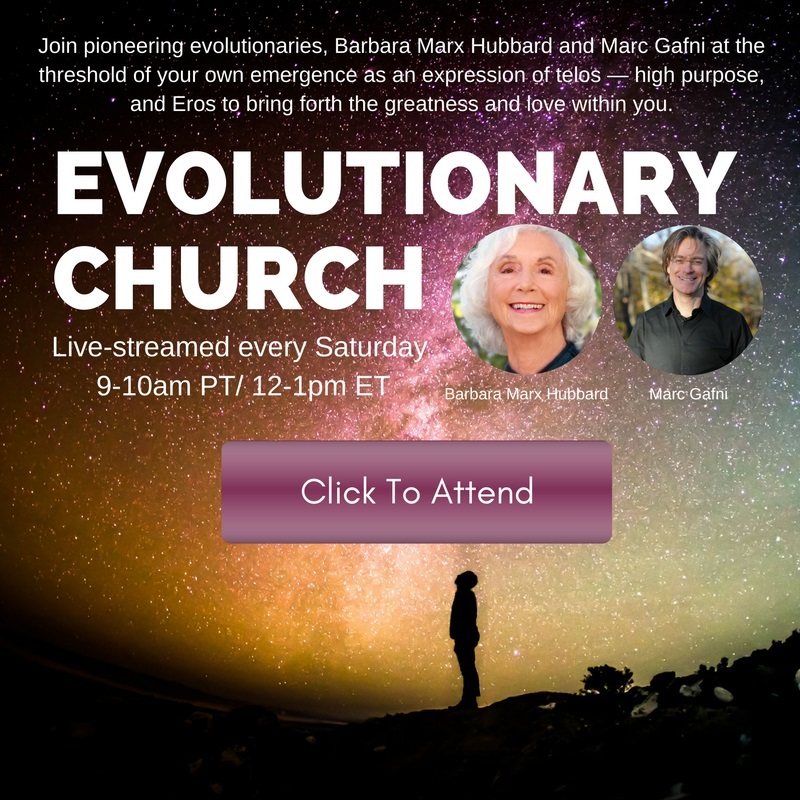 Ultimately your Unique Self is God having a YOU experience … “My name is Marc.” God having a Marc experience is what happens when I am living my Unique Self. When I am caught in ego and imitating, when I am in contraction, when my coiled small self struggling to survive overtakes me, then my Unique Self gets distorted or occluded, but when I inhabit the full gorgeousness of the unique expression of All-That-Is, of the unique expression ofSource that lives in me, as me, and through me, then I awaken to the fullness of my power, my joy, my mind, my heart, my sensuality, my creativity. 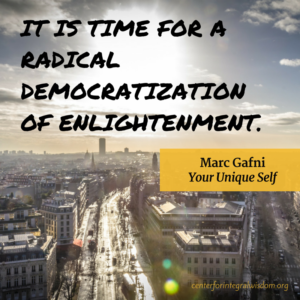 That is the invitation of Unique Self Enlightenment.